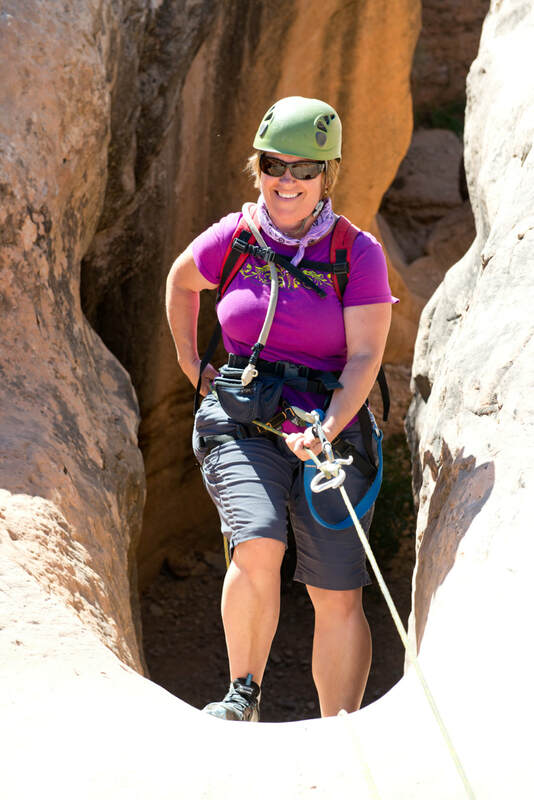 This half day course allows participants to learn the basic canyoneering skills required to descend either The Subway, Keyhole, Orderville or Echo Canyon. Each of these beautifully sculpted canyons in Zion National Park are good introductory canyons for beginners. Because Zion National Park policy does not permit you to take a guide with you into the backcountry canyons, this canyon specific course was designed to provide you with the knowledge, skills and equipment needed for a safe, self-guided descent of the canyon of your choosing. Each of these canyons requires a permit which you can obtain online in advance, or in person at the Zion Wilderness Desk the day before your intended descent. We recommend all members of your group be present for this course and children be at least 12 years old. "We signed up for the Subway Ground School training the day before the permitted hike and our guide taught us all of the skills needed to get through the adventure. The rental of the gear needed for the trek was included in the course. We had everything we needed, including practice with repelling and how to get ourselves safely and efficiently over and around every obstacle we encountered."